Sadly, I was only in America three months when I received a phone call telling me that my grandmother May had passed away. I was very close to my Nan so this was devastating news for a young Irish girl so far from home. With a heavy heart I boarded the big Irish bird again and prayed for God to give me the courage I would need over the next few days. As the airbus flew up over the Big Apple I looked out the window and saw a bright star in the sky. I remember thinking it was unusual to see just one big star on its own so I looked around but couldn’t see anything else in the dark skies. That one solitary glistening star stayed with me on my journey across the ocean. As the sun rose over Ireland I looked out the window at my friendly star and said, “Thanks for staying with me Nan.” I put my head down, looked up to see the coast of Ireland, and my star was gone. I thought about not coming back after the funeral but my mom said that my nan had told her how proud she was of me just a few days before she passed. I decided to return to the U.S. and finish out my year as planned. When I returned there was a card on the table with an Irish stamp placed neatly in the top corner. I recognized the handwriting and with a lump in my throat I opened the envelope. It was a beautiful Easter card and I cried as I read the last three words, “Love from Nan.” I was lucky to have had such a wonderful lady in my life and feel blessed that her last words about me and to me were encouraging, positive, and filled with love. Could she have known that I would meet a young American boy who would steal my heart and be such a big part of my journey in life? You see sometimes we have to take chances in life. Whether it is an adventure to a faraway land or a decision that may change your life – Listen to your heart, trust your intuition, and take a leap of fate. There are signs and people everywhere to help guide us on our path if we listen and look close enough. 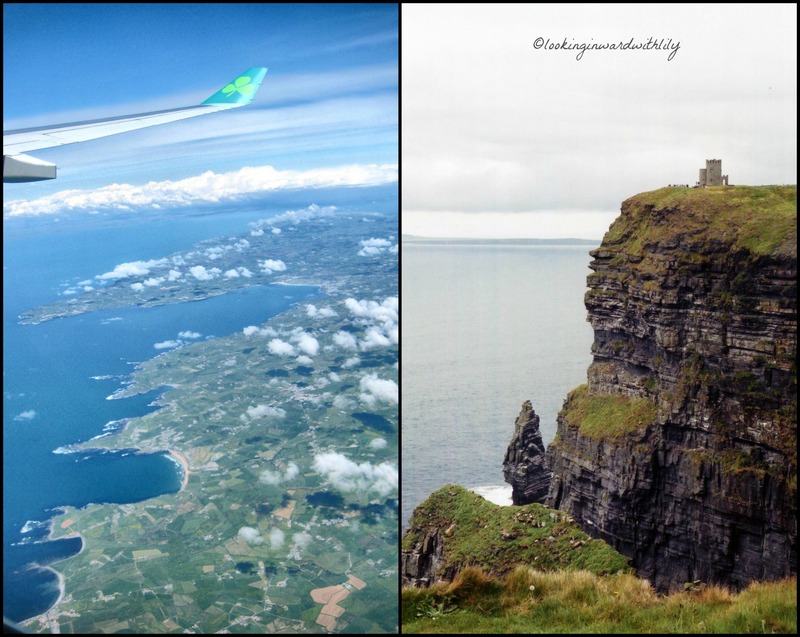 As a little girl growing up in Ireland I pointed to a plane in the sky and sang a jingle. I knew in my heart that one day I would get to America and I knew one day that big bird in the sky would take me there! 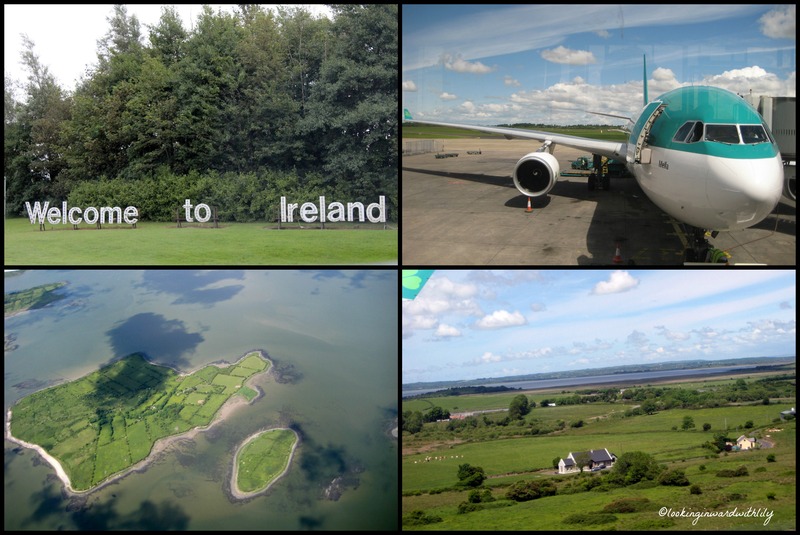 This entry was posted in Family, Photography and tagged Aer Lingus, Angel, Atlantic Ocean, Au-Pair, Big Apple, Family, Fate, Inspiration, Ireland, Nature, New York, Ocean, Photography, Positivity, Travel. Bookmark the permalink. Oh my goodness, such tears! What a beautiful story and great pictures! I’m so glad you took a chance and now we get to see some of the area as you share your story! Thanks Kate! You know I always tell the story about my Nan and the solitary star in the sky but I am glad I finally wrote it down. Now my kids will have a little story to pass along to their kids 🙂 After I wrote this post I had to take the dog outside. I looked up to the sky and guess what… one solitary star in the sky and a ring/halo around the moon… felt like my Nan was with me again! Beautifyl! Someone give me a tissue. I have much the same feelings about my grandmothers. I do miss them. Thanks Karin! We are both blessed to have had such wonderful grandmothers. Hopefully the life lessons they taught us will be passed on for many generations.